Enter the World of Robotics! 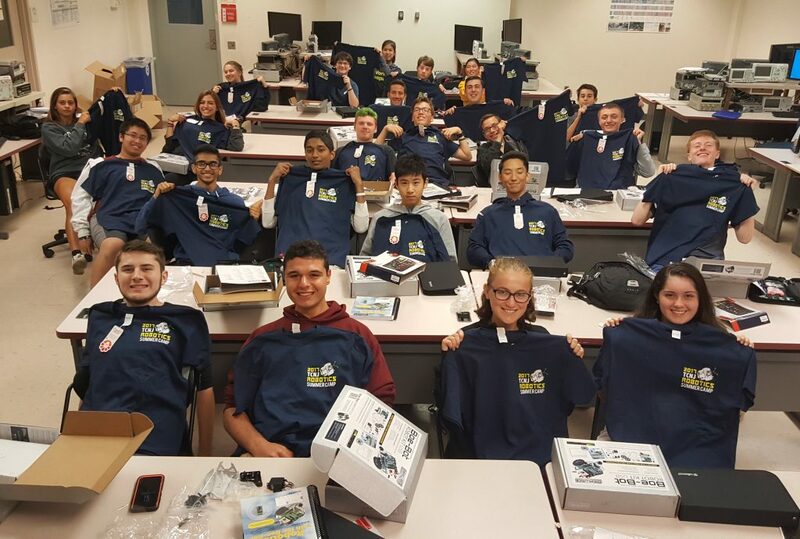 High School students are invited to apply for an intensive summer Robotics Camp offered by the Department of Electrical and Computer Engineering at The College of New Jersey (TCNJ). The intent of the camp is to motivate the most creative minds of a new generation of prospective Electrical and Computer Engineers to become global leaders in an increasingly technological world. The program aims to create a community of students who participate in and contribute to an intensive and powerful academic experience delivered by distinguished educators and professionals. Camp participants will be introduced through a residential College academic experience to the exciting field of Electrical and Computer Engineering, and will learn topics not traditionally taught in High Schools such as Microcontroller Programming, Sensing Systems, Digital Electronics, Wireless Communications, Computer Vision, and more. The participant will work with Electrical and Computer Engineering students and professors, and interact with professional engineers from the Industry. TCNJ offers a superior learning environment, and these experiences take place in specialized laboratories. Robotics is the science and technology of robots, their design, manufacture, and applications. It requires a working knowledge of electronics, software, and mechanics. Before the coining of the term robotics, there was interest in ideas similar to robotics (namely automata and androids) dating as far back as 400 BC. Robots are used in industrial, military, exploration, home making, and academic and research applications. 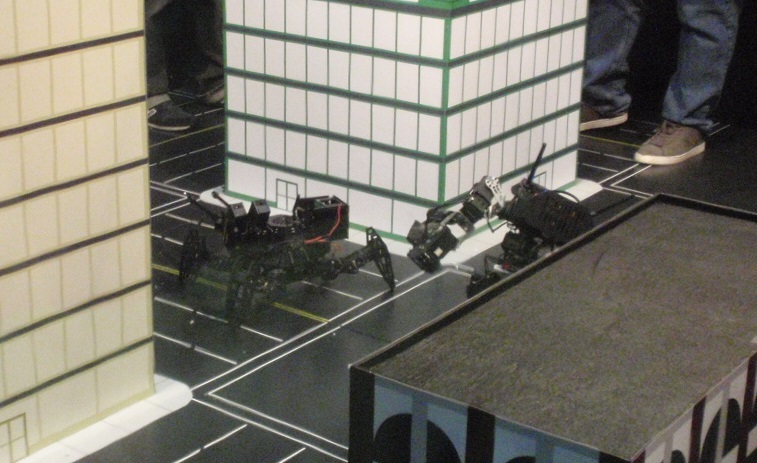 Although the appearance and capabilities of robots vary vastly, all robots share the features of electronic sensors, and a movable structure under some form of autonomous electronics, computer, and software control. 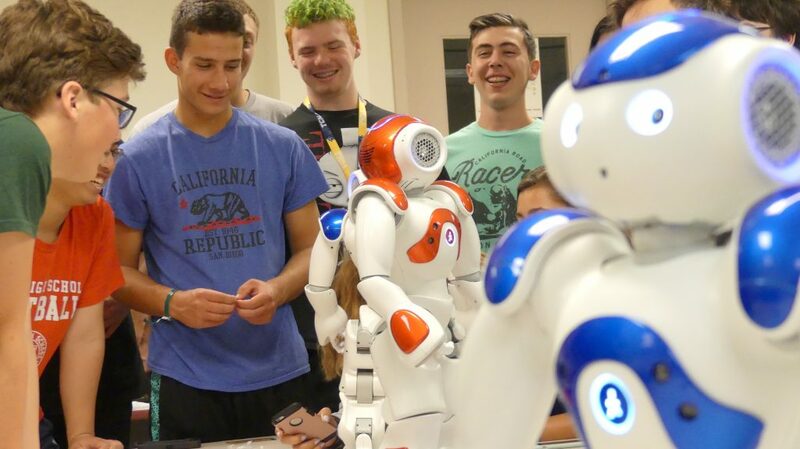 What Do Students Do at the TCNJ Robotics Summer Camp? 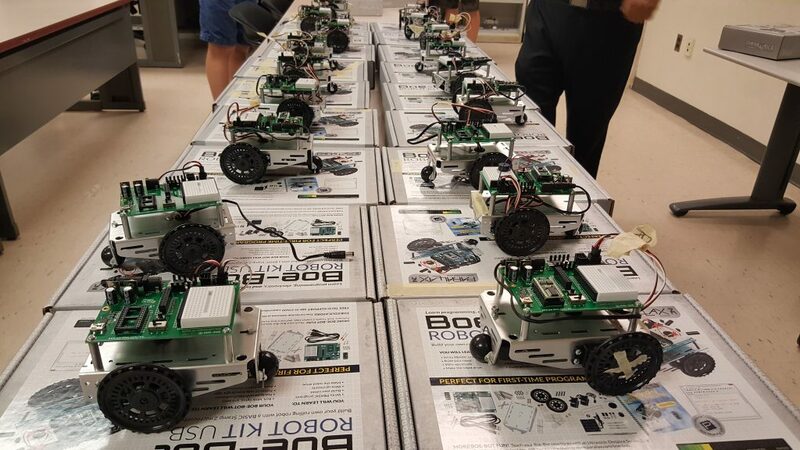 Students will build, program, and use their own robot. Each participant will receive a robotics kit, and at the end of the camp they get to take home their own robot. The Kit provides everything necessary to build an expandable robotics platform. 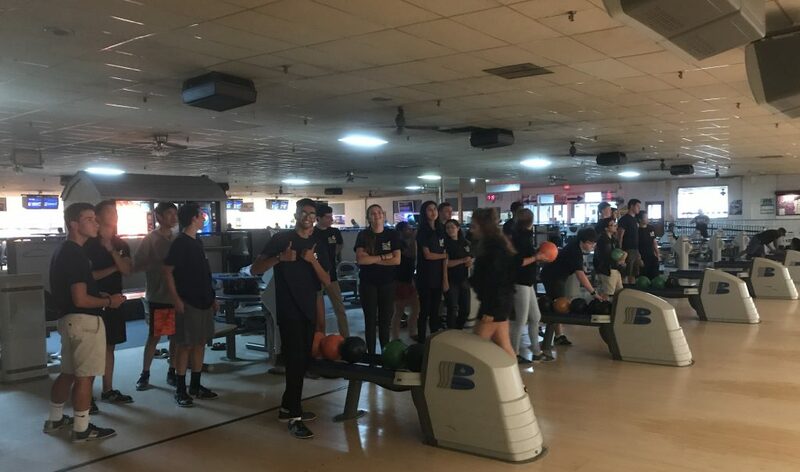 During the process of building their robot, students get to perform a series of activities, which culminate with a robotics competition. The activities introduce motor control and interfacing your robot to the human world to avoid objects, follow light, and provide sound and light feedback. 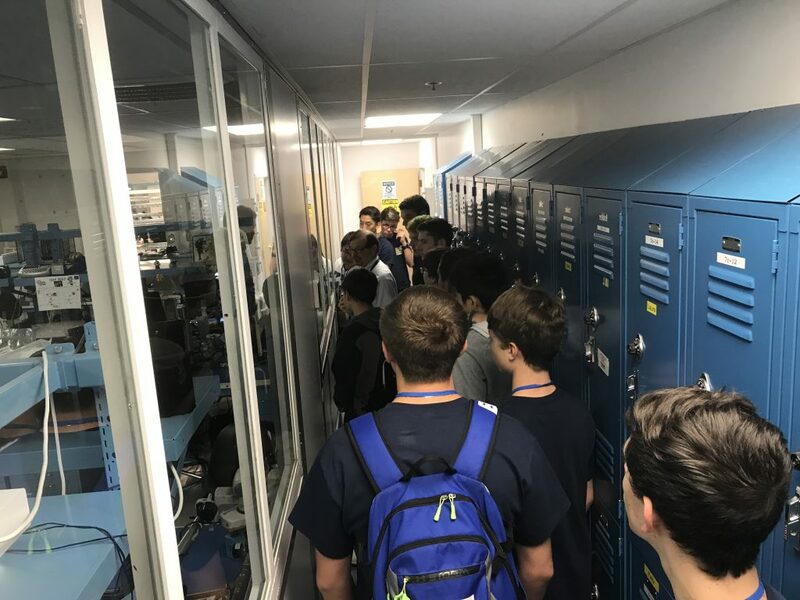 Interesting electrical and computer engineering sessions each morning and afternoon, and their application to your robot. 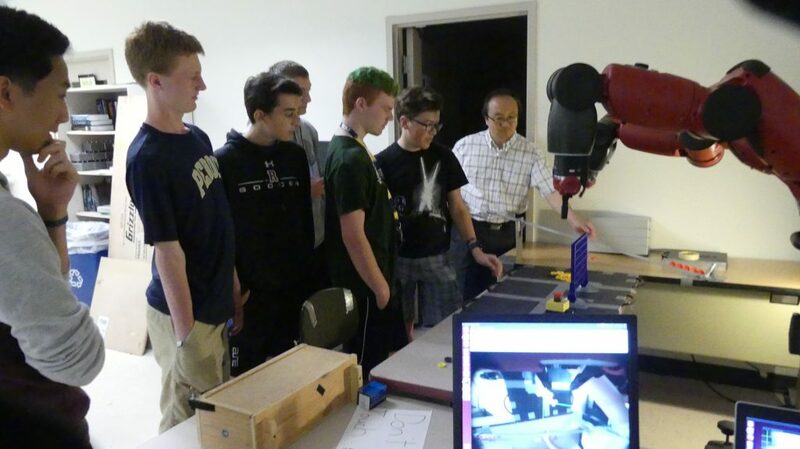 Hands-on robot building, programming, and utilization facilitated by TCNJ faculty and students. Site visits to facilities where state of the art electronic and computer technology is being developed, and meeting with practicing engineers. At the end of the week, a prominent guest speaker from the Electronics/Computer Industry will give a special presentation about their organization and the industry. 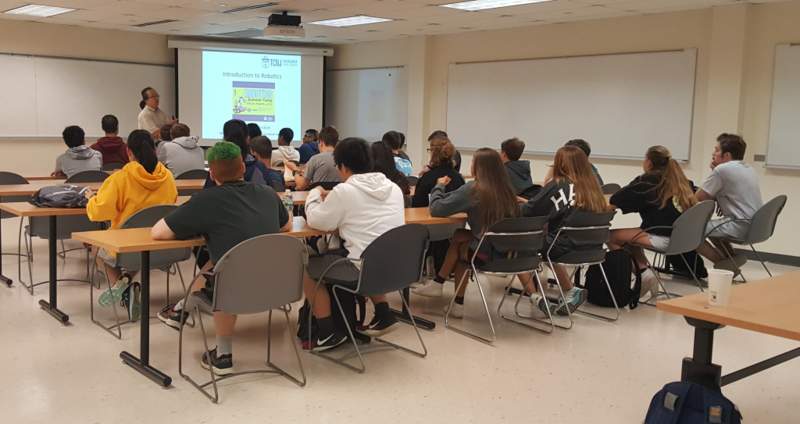 Eligible camp participants are high school students that rank at the top 30% of their class, have an interest in robotics or engineering, and have successfully completed one year of college prep mathematics (preference will be given to those who have completed algebra). The camp will be held at the beautiful campus of The College of New Jersey, Ewing, NJ. 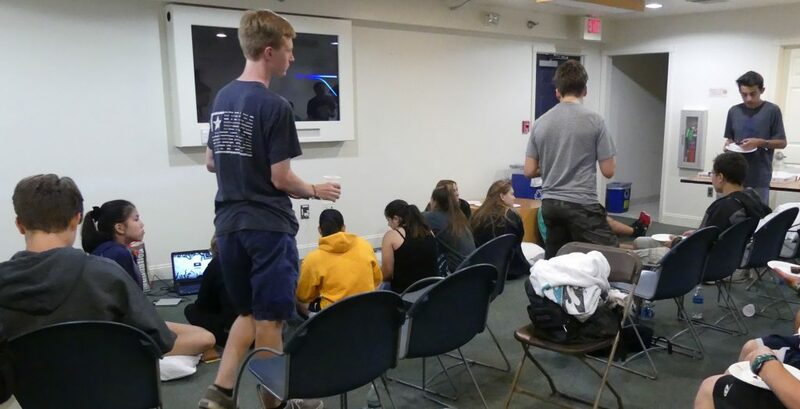 Participants stay in a TCNJ air-conditioned residence dorm and are chaperoned by electrical/computer engineering students. *Camp participants must provide their own transportation to and from Ewing, New Jersey. Limited number of seats are available for this program. Interested students should submit the online application below as early as possible.